Summertime and the living is easy…..
Not enough room for the truck in your driveway or in the office. That’s ok we can bring the food inside.. whatever the occasion .. office parties, associate gatherings, BBQ, reunions, weddings, birthday parties, whatever the occasion, we can be of service email us at porkettacbus@gmail.com today. 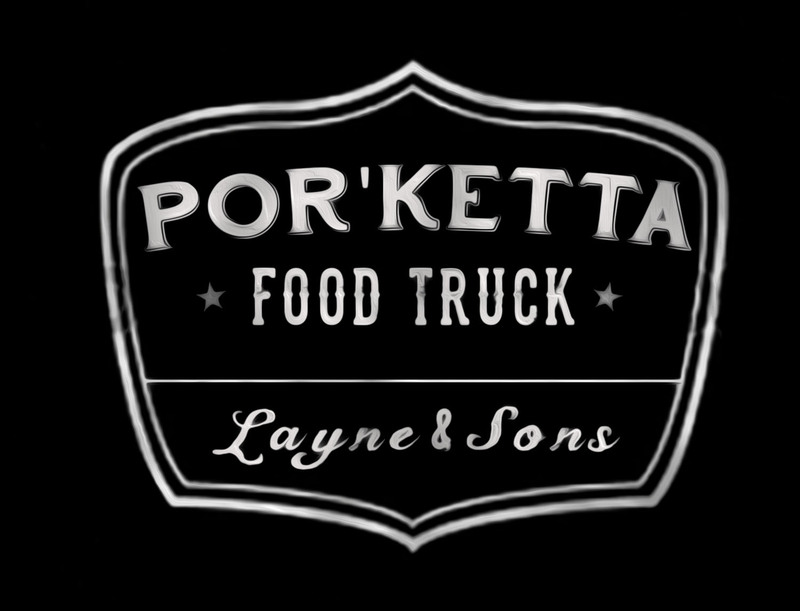 Porchetta is a classic Italian street food.. several different versions exist.. this is ours.. we use Ohio sourced pork. We use the bellies with loin attached..add garlic, fennel, lemon zest, Italian parsley, rosemary, sage, sea salt, fennel seed ground, crushed red pepper, cracked black pepper and extra virgin olive oil to slather the inside of the roast, roll it up and into the oven for Four and a half hours until tender and juicy through out with a crispy skin. When finished, it comes out of the oven and rests. Food Truck at Your Event.